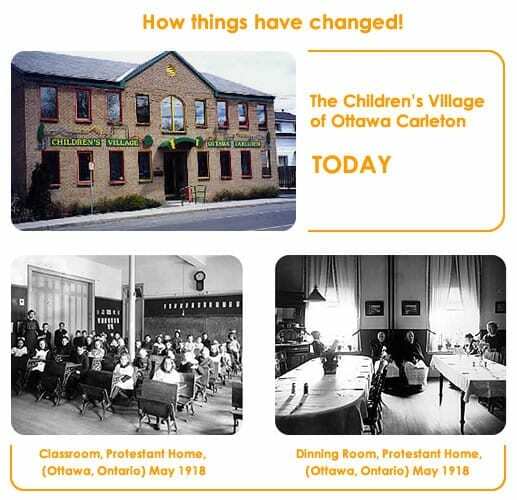 The Children’s Village of Ottawa-Carleton, one of the oldest charities in Ottawa, has been providing services to children and families since 1864. Filled with a rich tradition of working directly with the community, our history is a testament to our commitment to children and the innovative programs they need. The Children’s Village operates a large Licensed Home Childcare Program, several school based Childcare Centres, summer programs, a drop-in play group and other support services for parents and providers. We believe in working in partnership with parents, providers and agency staff to ensure children receive quality care in a nurturing environment. Our services reflect an ongoing commitment to the well being of children and families and are characterized by sensitivity, high standards, and flexibility. Lady MacDonald Childcare Centre: a licensed toddler and preschool program operating in Roch Carrier Elementary School. Parents Exploring Day Care Options (PEDCO): monthly information sessions. The Children’s Village has a long and distinguished history of caring for Ottawa’s children. Established in 1864 as a home for orphans, it has responded over the years to the changing needs of children and their families in the community. During its first century, this charitable, non-profit organization operated an orphanage, an infants’ home, a children’s hospital, and a group day care centre. For a time, it also offered shelter to “friendless gentlewomen” and the elderly who had neither the means nor the family to support themselves. However, no matter what need it was striving to meet, it has always worked to create an environment that was “the next best thing to being home.” Children’s Village today, under the direction of their Board of Directors, continues to offer innovative programs in the community which benefit the children and families. Donate to Children’s Village of Ottawa-Carleton! As a non-profit, registered charity, Children’s Village of Ottawa-Carleton welcomes charitable donations. We ensure that 100% of all moneys donated will go directly into program delivery. Donations can be mailed to or dropped off in person at 333 Churchill Avenue North, Ottawa, Ontario, K1Z 5B8. For more information regarding donations, fundraisers or volunteer work, please contact us at 613-725-2040 ext. 100 or email reception@childrensvillage.on.ca. The Board of Directors is responsible for providing strategic leadership by establishing and regularly reviewing the Vision, Mission and Core Values of the Agency. The Children’s Village of Ottawa-Carleton is fortunate to be led by a dedicated group of board members who share our commitment to those we serve. Once a month, they generously volunteer their time, talent, resources and professional expertise, to ensure the highest level of care for the children and adults in our programs. Why Community Partnerships are so important? For many families early childhood settings often provide their first contact with a wider community beyond the home. Licensed Childcare Centres act as an important point of connection for families with other organisations and services in the local community. These connections are essential to two of the core foundations of belonging and well-being that How Does Learning Happen? Ontario’s Pedagogy for the Early Years is based around. By creating strong relationships with the local community, educators arm themselves with invaluable information and resources. By drawing on community knowledge and expertise, educators are able to provide children with learning experiences that are meaningful and relevant to their lives by understanding the children and families of their Centre. “Opportunities to engage with people, places, and the natural world in the local environment help children, families, educators, and communities build connections, learn and discover, and make contributions to the world around them” (HDLH). 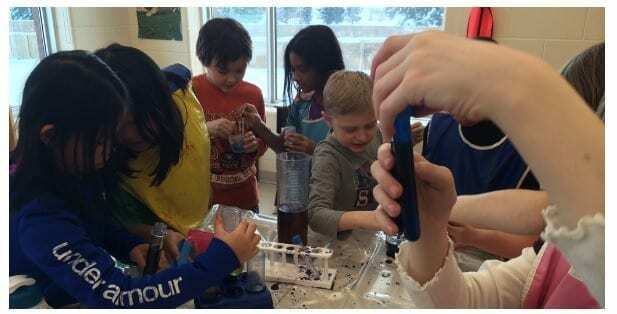 One of the Children’s Village of Ottawa-Carleton’s primary beliefs is that ‘it takes a village to raise a child’ and that children grow up as a part of a community. Each and every one of our community partners represents a piece to the puzzle. We all fit together to create an agency that provides Licensed Home Childcare, Licensed Centre-based Childcare, Summer Camps and Resource programs that offer quality child care and support to communities in the City of Ottawa and it’s suburbs. Children blossom in an environment of mutually supportive and caring relationships. It is important for children to feel part of a wider community that encompasses beyond the learning environment. As children develop, links to the outside world help them to find their place, to learn how society works, and to distinguish and comprehend the shared values that reinforce our society. At the Children’s Village we strive for excellence through the ongoing effort and dedication of employees. We’re looking for people who share a commitment to child care, and our community, and who are passionate about working with children. Children’s Village of Ottawa-Carleton regularly recruits supply teachers to work on an on-call basis in our child care centres. Making yourself available for supply work is an excellent way to showcase your skills as an early childhood educator and may lead to contract or permanent employment with our agency. You may submit your resume to Myrian Pépin, Manager, Group Care Programs indicating your interest in doing supply work. The Children’s Village welcomes applications from people with disabilities. Applicants with disabilities may request accommodation for the hiring interview. In keeping with “The Accessibility for Ontarians with Disabilities Act (2005)”, the Children’s Village recognizes its obligation to ensure that programs and services offered by the Children’s Village are accessible to people with disabilities. With regards to people with disabilities, the Children’s Village is committed to ensuring their programs and services accommodate disability related needs and are provided in a manner that reflects the dignity and independence of the person. Written documentation on our policy will be provided upon request and in an accessible format. Information on the programs offered by the Children’s Village can be provided in an accessible format. Feedback on services delivered to people with disabilities shall be invited and forwarded to the Executive Director. Please send your feedback via email to reception@childrensvillage.on.ca. We can also be reached by phone 613-725-2040 ext. 100 or fax 613-725-9516.